An anthology of African American poetry from as early as the 18th century, including both well-known poets and some not as widely read. Includes an introduction describing the evolution of African American poetry, intros to each poem, and vocabulary that explains the usage of some of the words in the context shown. Children's picture book sized, 48 pp. I was totally excited to see an anthology of African American Poetry in the envelope Sterling sent me because I enjoy passing on children's books to schools and my youngest son's girlfriend is currently teaching in the Mississippi Delta, where the children are mostly African American and resources are appallingly limited. They can use any book but I think this one will be especially meaningful to the children. Poetry for Young People: African American Poetry is worth buying for the introduction alone, as it is truly eye-opening. Editor Arnold Rampersad (from Princeton University) beautifully describes the history of African American poetry, its influences (poverty, slavery and racism as well as everyday life), its writers and how some were able to write as early as the years of slavery, even though teaching a slave to read was against the law. I loved the learning experience as well as the poetry itself. I had no idea, for example, that a volume of poetry by an African American (Poems on Various Subjects, Religious and Moral by Phillis Wheatley) was published as early as 1773. The editors have done a fabulous job of selecting poetry and placing it in chronological order, earliest to most recent. The illustrations are bold and colorful but I must admit I didn't love them. They remind me a little of both Eric Carle and primitive art but they're a little flat for my taste, yet definitely well-suited to the individual poems. "Apollo", shown below, is one of my favorite poems. This is not my favorite spread for illustration but the one I liked best didn't turn out -- the battery died on my camera and I had to use a lower-quality camera. Will try to replace the image and update later; there are definitely better examples of the illustrations. [Elizabeth Alexander] is a professor at Yale University in New Haven, Connecticut. She is also a graduate of Yale, Boston University, and the University of Pennsylvania, where she earned a doctorate in literature. An acclaimed writer, she was chosen by President Obama to read one of her poems at his inauguration in 2009. Her poem "Apollo" takes us back to July 20, 1969, when men landed on the moon for the first time. The U.S. spacecraft Eagle touched down with Apollo 11 astronauts Neil Armstrong and Edwin "Buzz" Aldrin, Jr. Eager to watch the event on television, an African American family traveling by car stops at a roadside restaurant frequented by white customers. For a moment, the drama on the screen seems to put racial tension in its proper perspective. a Coke and a hamburger. the way it mostly goes. Highly recommended - A fabulous anthology with an exceptionally informative introduction, a great selection of poetry, terrific intros to each poem and some vocabulary words. My only quibbles with Poetry for Young People: African American Poetry are minor. I thought a couple of the definitions were good descriptions of the author's meaning without strictly defining in a dictionary sense. The fact that they weren't dictionary definitions bothered me a tiny bit but that choice is arguably correct because usage trumps definition in poetry. While he illustrations are not a style I like all that well, I do love the eye-popping color. Another great book for teaching, I think it would be especially wonderful to use as a reference during Black History Month because, being an anthology, it goes beyond talking about the better-known poets. I've heard some complaints from youngsters about having to study the same African Americans over and over, again, during their years of schooling. Variety is a very fine thing. A few days after my computer problem was allegedly fixed, I am still having difficulty with sluggishness and occasionally getting suspicious pop-up messages asking me if I want to add files with strange names. So, unfortunately, this isn't probably going to be the productive week I hoped it would but I want to review the poetry books I've read before April ends. I adore April for National Poetry Month, an excellent reminder to read more poetry. Poetry is a form of writing I don't indulge in as much I should. A collection of poetry by Robert Frost with an introduction describing his life and poetry as well as intros to each individual poem. Children's picture book sized, 48 pp. Meet Robert Frost -- one of the best-loved American poets. The winner of four Pulitzer Prizes, he is most known for his ability to capture the beauty of nature and his surroundings in evocative, yet uncomplicated language. When I was contacted by a Sterling rep about the Poetry for Young Children series, I replied saying I'd be happy to review any they wanted to send without specifying any particular author or book. So, the two books I received were selected by the publicist. When I opened the envelope, I was excited to see Robert Frost's collection. I'm a nature lover and I like what I've read of Frost but haven't read enough. You don't have to be a youngster to enjoy the added benefit of an introduction describing Frost and the brief intros to each poem. Apple picking can be slow work. Each apple must be picked by hand, while you hold yourself secure on the ladder with your legs. Any apple that falls or is dropped will bruise and then rot, spoiling any other apples that are stored with it. In this poem, the weather is starting to turn wintry -- there is already ice on the water trough -- and Frost is looking forward to a long winter's sleep. The poetry in Poetry for Young Children: Robert Frost is divided by seasons and beautifully illustrated with watercolor paintings that are topical, not just generic images of nature. I read Poetry for Young Children: Robert Frost on the patio with a light breeze blowing, birds and bumblebees flitting around then slowing in the gathering darkness -- definitely the best way to read Frost. Occasionally, I read a poem aloud (quietly, because it was the weekend and the closest neighbors were outside, as well) and I listened to the actor Robert Lansing reading "Birches" (which is included in this collection) on YouTube. Although my intent was to locate a video of Robert Frost reading his own poetry and I failed at the time, I've since discovered there are a few; I must have chosen the wrong search terms. Highly recommended - I love everything about this book: the selections, the illustrations, general introduction and intros to each poem. Great for teaching a unit about Robert Frost, to give to a poetry-loving child, to supplement your own education if you feel it's lacking or to read aloud to younger ones you want to acquaint with poetry.
. . . a celebration of children, of childhood, and in many ways, of being a parent. 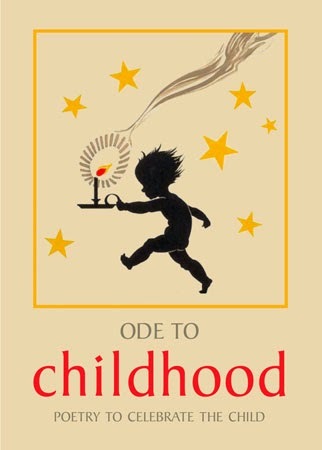 [Ode to Childhood] covers some of the best poetry ever written about the charms and beauty of children, as well as the magical time of childhood. The poems range from the humour of childish talk and wonderment and the formation of childhood memories through to the pain of losing a child, and the profound love that a child can bring. Featuring much loved poets such as Wordsworth, Betjeman, Blake and E E Cummings. When I first picked up Ode to Childhood, I had it in my head that it might be the kind of book you buy for a new parent, but then I got to, "A Child Ill" (that's "ILL") by John Betjeman, which begins, "Oh, little body, do not die," and I chucked that idea out the window. I think, perhaps, I was also in the wrong mood when I first opened Ode to Childhood. I set the book aside and waited a bit, letting my mind-set change and reading from Inside Poetry Out, a book about how to read poetry, understand and enjoy it. Wow, has that book been helpful! On the second reading of Ode to Childhood, I found myself absolutely falling in love with this little anthology, picturing the little hands and tousled heads, the joyful moments of discovery. And, I got every bit as much out of the poems that are about the fear a child might die, the horror of being the victim of bullying, etc. The illustrations are absolutely wonderful - bold, blocky, colorful illustrations that are nicely consistent, throughout. Ode to Childhood is the kind of poetry book that you keep to read over and over and over, again, when you want to be reminded of what it was like to feel the bliss of childhood as you explored with your fat little hands and wobbly legs, to remember when your little ones were around and how much light they brought into your world (if you're a parent) or just to read for pleasure. Highly recommended - I smiled almost all the way through this book; I absolutely love Ode to Childhood. The poetry is nicely varied, covering a broad perspective of childhood's joys and fears (more heavily focused on the positive side) and with absolutely beautiful illustrations. It's truly a little gem. My only caution is that it's not a book I'd wrap up and give to a poetry-loving new parent, if only because they might not appreciate being reminded that bad things happen to children while they're still counting fingers and toes. Then again, a new parent probably won't get around to reading it for a long time! Most of the poetry in Ode to Childhood was new to me, although I did recognize some. A couple of the poems are a little tricky to read because of their age but after reading some of Inside Poetry Out, which advises you to read a poem twice silently and then again aloud, I found myself relaxing into the poetry and actually realized the oldest poems were quite clear when read aloud or even imagining someone reading them aloud. Amazing what a difference that makes. Last week was a week I planned to hit the poetry and children's backlog I've amassed but then my computer was invaded by something nasty and I ended up offline most of the week. This best-laid plans thing keeps recurring. I object. Time and Again by Jack Finney - Finney has been one of my favorite authors for decades. I've read this before and I'm thrilled to have an excuse to read it again. The Spirit Keeper by K. B. Laugheed - No idea where I heard of this one but it sounds terrific. Everything else. You should be able to click to enbiggen the photo. I was unable to find a cover image in a decent size when I went hunting on Google Images for the cover of A Single Breath. But, when I went searching for a cover image of The Other Typist, there were pages and pages of images in varying sizes (and a little variety to the designs). I presume this is partly because The Other Typist has been available longer and because it's been heavily promoted but of the two I'd most highly recommend A Single Breath. The Tasmanian setting made for a wonderful armchair travel interlude and I enjoyed theorizing about what had happened to the drowned husband, as I read. Don't overlook A Single Breath if you like reading about new places! Wow, look at what not having access to the Internet can do for a gal! Outrageous Fortune: Growing Up at Leeds Castle by Anthony Russell - Rather an impulse purchase, I'm finding that this book is entertaining but suffers some things I consider fledgling writer flaws, like trying too hard to inject humor into the narrative. I do think the author's family is fascinating and my eyes opened a little wider when I discovered the author went to a private school just around the circle from the flat we occasionally borrow from a friend in London. There's still a school there; I was just surprised by the stunning wealth of the children who attend it, I suppose. I'm not sure which fiction title I'll begin, next. None! But, we did watch a tiny bit of random TV. I watched part of an episode of an early-Sixties show hosted by Mike Douglas and Florence Henderson because I was looking for videos of Robert Frost reading his own poetry (no luck finding any). Instead, I got to listen to the late actor Robert Lansing (who met Robert Frost when his poet/actress wife attended Frost's annual Bread Loaf writer's conference) reading Robert Frost's "Birches". 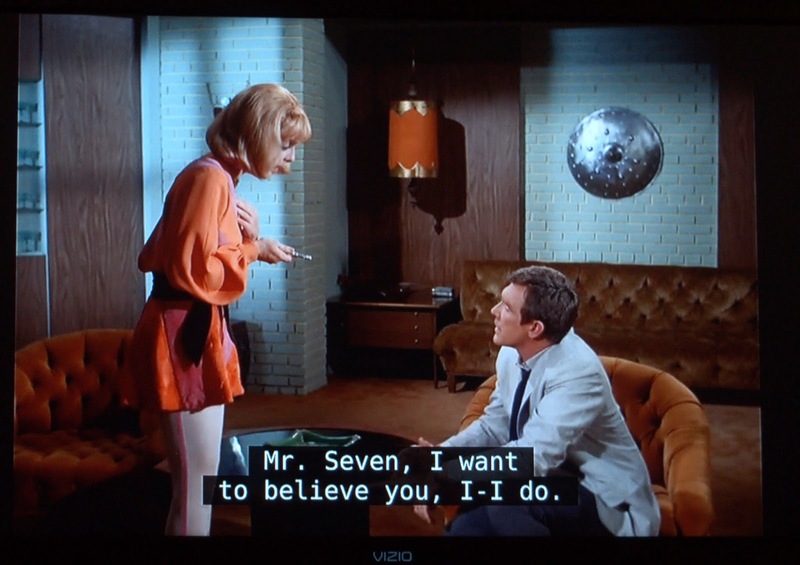 And then, because Robert Lansing played Gary Seven in my all-time favorite classic Star Trek episode, "Assignment: Earth," we streamed the episode for fun. I should probably call that "blogging wishes". I'm hoping to tackle all the poetry books I've read for National Poetry Month, tomorrow (that was also last week's plan, haha). Doing so will involve a string of posts on one day . . . you know, assuming we don't get blown away by the big storm headed our way. When MEMA (the state disaster agency) and FEMA sit down over coffee 3 days before a storm, it's time to take notice and toss blankets into your safe room. After that, I plan to focus on my backlog of children's books. 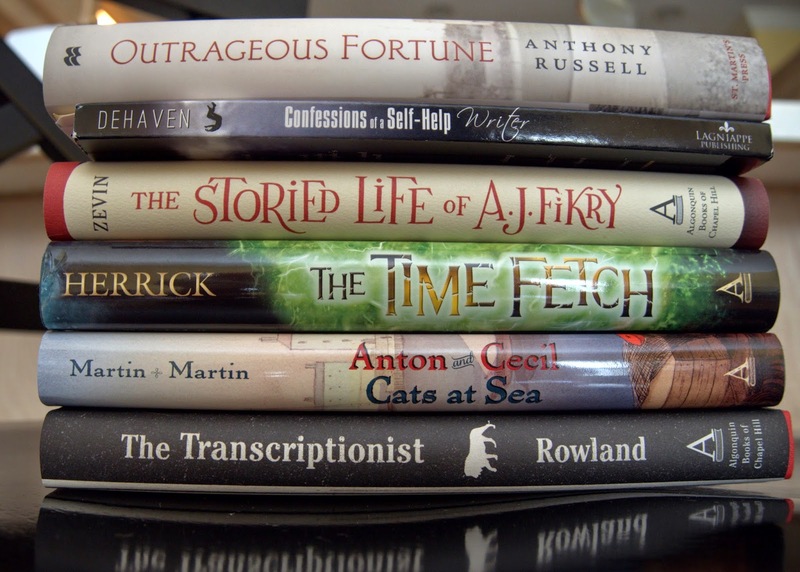 If I don't have the time or fortitude to write a full days' posts of children's books, I'll just alternate between children's books and other reads. I'm going to go back to a slightly more formal reviewing style with info at the top, brief synopsis and thoughts, as I did with The Other Typist, for ease. At least, that's the plan. You just never know what's going to happen from one day to the next. My doctor says it is our animal nature to judge the weak more harshly, owing to how survival depends upon weeding these creatures out. He says I have highly developed animalistic tendencies. The way he says it, it does not sound like a compliment. Rose works as a typist for the New York City Police Department, recording confessions. When a new typist named Odalie arrives at her precinct to help with the increased work load caused by a crackdown on bootlegging, Rose is fascinated by Odalie's chameleon-like charm and becomes aware of her own power to cause a criminal's conviction with the alteration of a few key sentences. And, when Odalie sweeps Rose up into her illicit world of speakeasies and lies, Rose finds herself willingly following along in her shadow, becoming the kind of person she would normally judge. I didn't ever feel like I could relate to or sympathize with Rose because her weakness and vulnerability make her annoying. "Stop, Rose! Don't go with Odalie!" is the way I felt throughout the entire book. There's a mystery dangled from the beginning but I was constantly tempted to put down the book because I didn't feel it was so much compelling as a tease. You know practically from the beginning that something has happened to Rose that led to her incarceration in a mental facility and because she's in a mental facility, she is clearly an unreliable narrator. But, you can't help but assume that everything will eventually be clarified. Unfortunately, the ending is something on the order of a "What the hell just happened?" kind of ending. Even knowing Rose is unreliable, a single paragraph calls the entire novel is into question. There are also two completely different ways to look at the writing style: overwrought or deliberately haughty in tone. Was the narrator trying to double up on the confusion factor, lending a haughtiness to the tone through the use of too many adjectives and adverbs or was the author simply going overboard in an attempt to sound "of the time"? It's hard to say but I personally found the writing style exhausting. Iffy on recommendation but good for discussion - I like an unreliable narrator when the facts of a story are, at some point, clarified. Nabokov's Transparent Things is probably a good example. Whereas the author of The Other Typist throws unreliability in your face with her repetitive comments about the mental institution, there is a subtle undercurrent of something sinister in Transparent Things and it's only when you get to the end of the book that the "Aha!" light goes on and you realize the author has been slowly revealing an equation and its solution is right in front of you. It makes you want to read the book all over, again. I would have preferred to throw The Other Typist at a wall rather than reread it because the sensation was less an adding-up than a tearing-down of everything you've grown to believe when you reach the end, which I found very unsatisfying. However, I do believe there's a certain amount of skill involved in the setting of the scene and that the overwrought style, such as it is, may have indeed been deliberate. It's that probability that's had me waffling between giving the book 2 or 3 stars out of 5. I felt used and let down, so I want to give it a 2 for the sense that the author wasted my time. The story is not a subtle one. But, the idea that the style may have been entirely deliberate makes me feel like it's not quite fair to go that low. Waffle, waffle. The fact that I feel so torn about the rating and there's so much that is left unanswered (plus the fact that I noticed the reviews are polarized) does make me feel like The Other Typist would be a knock-out choice for book club reading. The moment I closed it I thought, "I want to talk to someone about this," and I can visualize a nice, noisy argument about who really was narrating and whether the narrator was obsessed by the other woman's skill at deception or the obsession was something entirely different. So, while I'm iffy about recommending the book, the fact that there's much to discuss lends me to give it a nod for book group discussion. I like the cover but when I did an image search I discovered that there's an alternative version of the same exact head shot in black and white with only the flapper's lips (red) and the title of the book colored and a New York skyline rather than blurred hands at the bottom. I thought the black and white image was much more striking. My desktop is down with either a virus or worm so I've had to find another way to post and I don't have access to photographs. So, there will be no Fiona Friday post, even on the wrong day, this week. 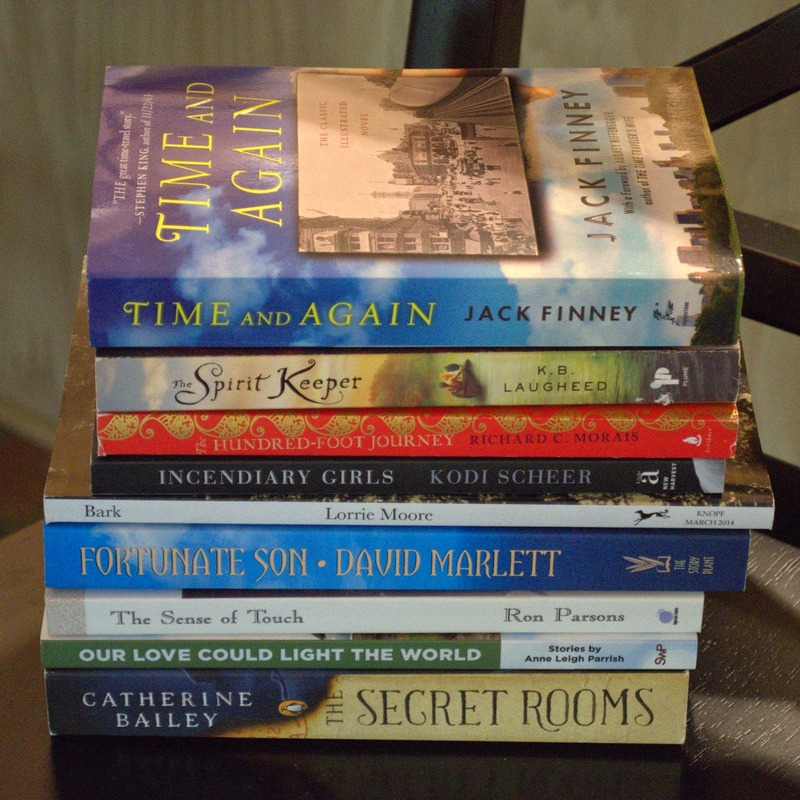 I also had some children's books I planned to review but they require access to the interior photos I snapped. Hopefully, the spouse will figure out the problem over the weekend. During last week's miserable reading slump, I picked up A Single Breath by Lucy Clarke, a book that had just arrived from Touchstone and which was originally sent to me unsolicited (but did not arrive - a second copy then arrived at the wrong house at my request, so who knows . . . a dog might have dragged off the first to use as a toy; they do that in our old neighborhood). A Single Breath is about Eva, a midwife who has been married to Jackson for a mere 8 months when Jackson is swept off an outcropping of rocks while fishing on the English coast. Deeply grieved, Eva decides to take some time off from her job in London and travel to Tasmania to meet Jackson's father and his estranged brother, Saul. But, things don't go as expected. Jackson father Dirk is not welcoming and Saul is still angry about an incident that happened several years ago. However, events conspire to keep Eva in Tasmania longer than expected and she ends up staying in a shack just down the bay from where Saul lives. As she gets to know Saul, the truth about Jackson slowly emerges and Eva realizes she really didn't know the man she married at all. Why did Jackson leave Tasmania? Did he really love Eva? Is he truly dead? There are bits of writing by Jackson interspersed throughout and those both confuse the reader and add mystery to the story. If he's able to write, isn't he really alive? Or are those little bits something that Jackson wrote before his untimely death in a letter that Eva will later discover? And, I loved the way Eva gradually got to know Saul as she stayed near him on an island off the coast of Tasmania, loved the way he taught her how to "free dive", checked on her when she was ill, even eventually brought her along to work. Saul and Eva are likable characters. I did feel as if the story dragged on a little bit longer than necessary and what I expected occurred, all-around, but I enjoyed the reading and am grateful to Lucy Clarke for yanking me out of my book slump with A Single Breath. Recommended - I particularly loved the characters, the setting, and the tug of mystery. There were some repetitive tense-change errors and I did find the story predictable in many ways but none of the book's flaws were significant enough to spoil the reading. Love, love, love the setting. Reading A Single Breath will definitely make you want to hop a plane to Tasmania. As to reading and blogging, last week was terrible! I enjoyed the two books I finished but I ended up abandoning the new Matthiessen book, In Paradise, because it just wasn't doing anything for me -- too vague at times, too sad for the moment. I'll give it another go, later. I missed my book group meeting so I decided to also set aside The Forest Unseen for later, as well. It's beautifully written but I needed something to really grab me hard and not let me go. Nothing called out to me for days. The book that finally captured me was A Single Breath by Lucy Clarke, the only book that arrived week-before-last (and not even at the right house). I finished A Single Breath on Saturday night and immediately began reading The Other Typist by Suzanne Rindell, so it certainly seems like A Single Breath has broken the slump. We shall see. 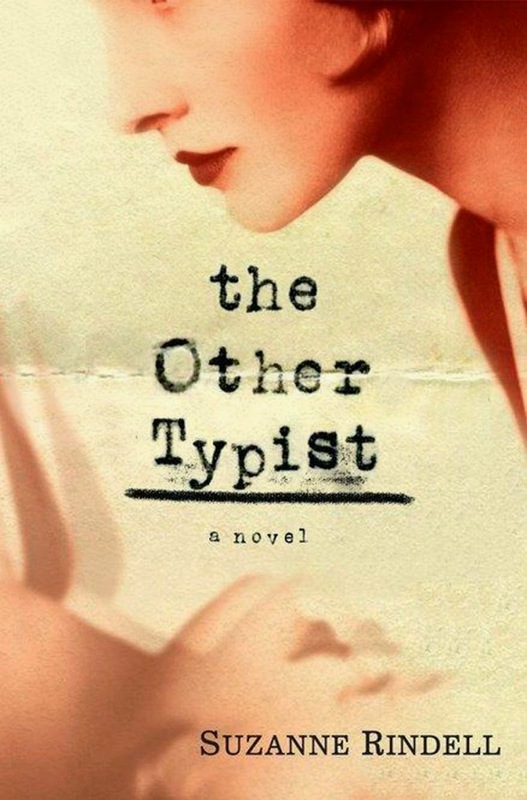 The Other Typist by Suzanne Rindell - Really, this is the only book I'm actively reading. Wahoo, husband found our copy of The Princess Bride! So, naturally, we watched it as soon as we had a spare moment. 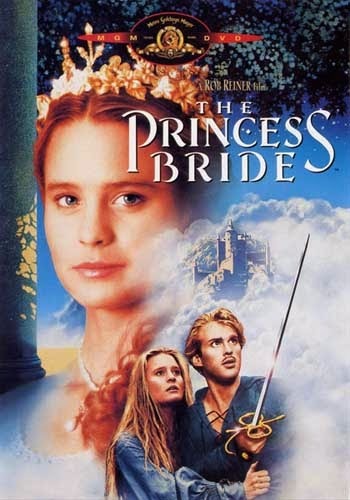 Some movies are timeless and The Princess Bride comes perilously close. There's that bit at the beginning when Fred Savage is playing a video game, which unfortunately does date the movie a tiny bit. Otherwise, it's all swashbuckling fun, great lines and true love. I wondered aloud how many people say, "As you wish," to their significant others because of this movie. We do, at times. Love The Princess Bride. That's actually the only movie we watched and neither of us was apparently in a television mood. We watched enough of last week's episode of The Bletchley Circle to fill in the gaps as we missed about the first 20 minutes of it, last week. Husband watched a little hockey. I remember when my mother used to write to me and her letters were all about sweeping the walk, weeding and watching Dancing with the Stars (which I've only recently begun to watch). I thought she was dull as paste. Ack, tell me I haven't become my mom!!! That's all for now. Happy Monday! Both cats actually helped but Isabel did the best job of posing. I've got family home for the holiday weekend so I'll be back next week. Happy Easter! I've decided to combine 50 Children and The Accidental Caregiver with Children's Wartime Diaries in one post because they have WWII as an element in common. 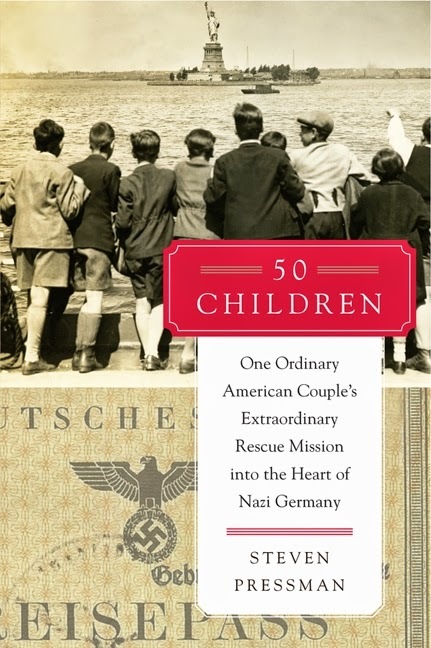 50 Children: One Ordinary American Couple's Extraordinary Rescue Mission into the Heart of Nazi Germany by Steven Pressman is about the rescue of 50 Jewish children from Vienna, Austria after the Anschluss (the peaceful but harrowing occupation of Austria by Nazis). The Accidental Caregiver is a memoir about an actor who became one of several caregivers to an elderly Jewish woman who escaped Vienna, also after the Anschluss. So, they have escape from the Nazis in common. The third book is mostly about children who were not so fortunate. Although they have the war in common, they're entirely different books. I just thought it was very cool when I realized Maria Altmann, the elderly woman, was also a Viennese Jew, after reading 50 Children and then it occurred to me that this would be a perfect time to mention Children's Wartime Diaries. I love it when there's an unexpected tie between reads. 50 Children (an ARC received from HarperCollins) is one of the best-written and most surprisingly gripping books set during WWII that I've read in a while. Gil and Eleanor Kraus were living a fairly quiet life in Philadelphia, Gil as a lawyer involved in charitable organizations, his wife a socialite who adored their two children. When Gil was approached by the head of a Philadelphia Jewish organization with the request to head up an effort to rescue 50 children from Nazi Germany, he said "yes" without even giving it any thought. Eleanor was heavily involved as she had to persuade a number of people to divulge deeply personal information necessary for the affidavits needed to prove that there were people able and willing to care for the children when they arrived in the U.S.
After the Anschluss, it became clear that children in Austria were at even greater risk so the origin changed but not the mission. Gil, being a lawyer, realized that the only way the rescue could possibly occur during a time when immigration was strictly limited would be to stick to the letter of the law. Consequently, there's a great deal about the red tape, the detailed paperwork and the people Eleanor and Gil Kraus had to deal with. So, I was a bit surprised that I never found 50 Children dull. Instead, I really found it quite gripping and beautiful but a little sad -- sad because not every child who applied for a spot could be taken, sad because the heads of other Jewish organizations who had failed to do similar were envious enough to speak out against them, sad because you can't read about those left behind without knowing the fate of the majority. But, how beautiful the stories of the children themselves, told toward the end of the book, about how much fun they had during their summer together at a camp building and how lovely the reflections of the rescued children, now grown, still living. And, how amazing that 3 Jewish adults (they were accompanied by a pediatrician, who actually fell in love in Berlin . . . that's a great story, as well) were willing to risk their own lives, going into Nazi-occupied nations to interview children and parents, dealing with paperwork and interviews to obtain visas, and then accompanying the children from Vienna to Berlin and onward to the U.S. Highly recommended - I get a little soppy just thinking about this book. It is a heroic tale, brilliantly researched and told in compelling narrative that makes the story feel quite tense, even though you clearly go into the reading knowing the outcome. The Accidental Caregiver: How I Met, Loved, and Lost Legendary Holocaust Refugee Maria Altmann by Gregor Collins is not merely about an escape from Austria, although Maria Altmann's escape story is told. Rather, it's about how Gregor, an actor, became one of Maria Altmann's caregivers, his time working with her, and his journey abroad after her death. When I was updating my progress reading The Accidental Caregiver -- a rare e-book purchase whose reading took me a few days because my iPad is crashing frequently -- I glanced across a few of the reviews at Goodreads and found that some people considered the author egotistical. I didn't feel that way at all, although there are moments that Maria humorously whips her head to the side to indicate that she wants to see Gregor's handsome profile. Even when those moments happen, they're about Maria rather than the author. At least, that's how I saw it. Maria Altmann was in her 90s when Gregor Collins became one of her caregivers. She was quite a feisty, vigorous woman but during the 3 years Gregor worked for her she went into a sharp decline and passed away. The author had dated a number of shallow women who confused him; he wasn't even sure what he was looking for in a woman. But he fell in love immediately with Maria's fearless, happy-go-lucky, sometimes raunchy and definitely life-affirming ways. Sometimes Maria could be a bit shocking but it's the fact that Gregor and Maria both felt an immediate rapport that makes the book such a joy. Highly Recommended - I loved The Accidental Caregiver enough that I deliberately dragged out the reading a bit (aided by regular iPad crashes) and found both author and subject charming in their own ways. There are some misused words but I loved the light writing style and, no, I didn't feel like the author was uncomfortably self-centered. I gave it a 4.5/5 at Goodreads -- not much taken off for minor editing problems. The Accidental Caregiver is, after all, a memoir so it's not just about Maria Altmann but about the author's feelings about her as the author cared for her and then (briefly) his couch-surfing journey around Europe. Loved it and wish I had the chance to know Maria. The book is currently being made into a film, which I hope will be widely released so I'll have the opportunity to see it. Children's Wartime Diaries: Secret Writings from the Holocaust and WWII, ed. by Laurel Holliday, is a book I've meant to mention and which ties in to the other two books pretty well. It's a set of diaries (some complete, others partial) written by children during the Holocaust. I have the full versions of some of them on my shelves. I read Children's Wartime Diaries a couple months ago. The surprising thing about the writings in Children's Wartime Diaries is that most of them (with only a couple exceptions) are every bit as well-written as Anne Frank's diary. Some are even more jaw-dropping. Such skilled writing from children so young! Many of the children died, their writings retrieved later by a friend or relative, so it's a heartbreaking read and the cruelty they experienced is . . . well, it leaves me speechless just to think about what some of them endured. Two diaries written by British youngsters lend a little levity to the book (those two are both on my shelves in complete form) although they do eventually begin to feel the full impact of war on their own home turf. Again, highly recommended - Surprisingly mature writing in most cases but definitely a rough read because of the horrors experienced by the children who wrote the entries in this book. I cried a lot while reading Children's Wartime Diaries but at the same time I was mesmerized by some of the writing. There were only a couple excerpts that were simplistic enough to feel as if they matched the age of the writers. 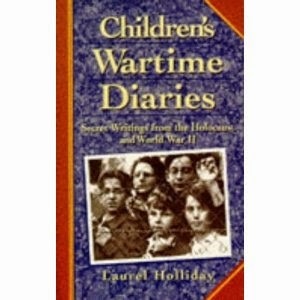 If you were captivated by Anne Frank's diary, you really must try to find a copy of Children's Wartime Diaries. I bought my copy secondhand and I'm pretty sure it's no longer in print, but there were plenty available. Prepare to have your heart broken if you do chase down a copy. It took forever to find a way to save this collage of last week's events in a way that I could access it easily. Please do me the favor of staring at it appreciatively for a fraction of a second. Thank you. That was long enough. Well done, you. Last week was a week of contrasts. Floody rains, sunshine, more rain. 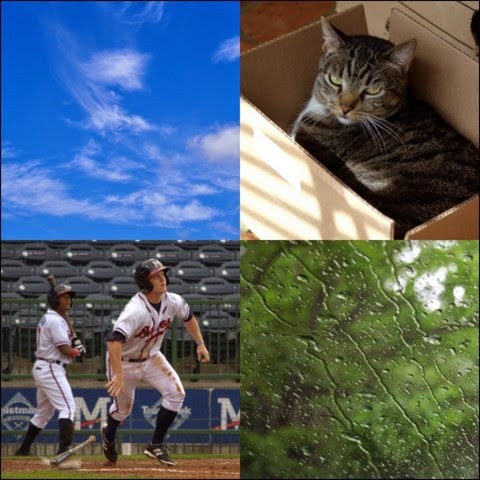 We went to a double-header baseball game, the first game having been rained out. Although you see empty seats behind the batter in the collage, above, there were actually other people in the stadium, just not so many right behind home plate from the angle I was shooting. The cats were hilarious, as always. Fiona and Izzy have nearly torn open the roof of their playhouse but it hasn't caved in, yet. Perhaps they desire a skylight? At any rate, when one of them lies on top of the box, the roof is sagging. Fiona also occasionally worked on the "If it fits, I sits" concept, squeezing herself into a fairly small box and looking perfectly content. I thought last week was going to be completely devoid of book arrivals when nothing had shown up by Saturday but Huzzybuns went to the old house to mow the yard and discovered a parcel sitting by the garage door. Oops, need to update that publicist. We're getting close to our 2-year anniversary in the new house (and praying we'll get rid of the old one by the time we reach the 2-year benchmark). 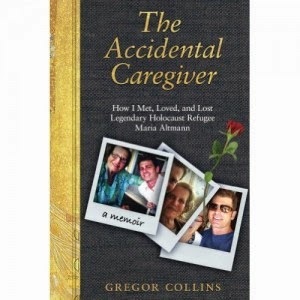 The Accidental Caregiver by Gregor Collins (memoir) - The memoir of an actor who became one of several caregivers to an elderly Jewish woman who escaped from Austria after the Anschluss. This is such a charming memoir; I am loving every minute of the reading and I confess I may be dragging it out a bit. Inside Poetry Out: An Introduction to Poetry by John O. Hayden - for National Poetry Month (from my personal collection). This book has already been helpful. I began reading Ode to Childhood when it arrived and found some of the poems a little difficult to understand but on the second attempt, even though I've only read 26 pages of Inside Poetry Out, I found that I looked at the poems in a completely different light and was able to understand most of them, even when archaic words were used. Wahoo for that. Birds of America by Lorrie Moore (short stories) - I've only read 2 stories, so far. I didn't like the first one at all but the second story had that resonant quality I often find myself seeking. It's not necessary to relate to characters to enjoy a short story but it certainly helps. In Paradise by Peter Matthiessen - I've just barely begun reading this one. Note that I only have added two of the books I'm reading to my sidebar. That's because I've been feeling pretty scattered, lately, and when I feel that way I tend to abandon books so I don't like to add them to the sidebar knowing they may come right back down. We'll see what happens, this week. Notting Hill is one of the few romantic comedies my husband can stomach (possibly at least in part because it's set in London, our favorite city), so we keep it in the "family favorites" drawer of our entertainment center. It's been a few years since we've watched it and it still holds up beautifully. The only things I noticed that have changed are phones (everyone used a landline), the fact that newspapers were more prevalent . . . and Hugh Bonneville's hair. Actually, Hugh Bonneville was every bit as adorably awkward as Hugh Grant in Notting Hill, wasn't he? 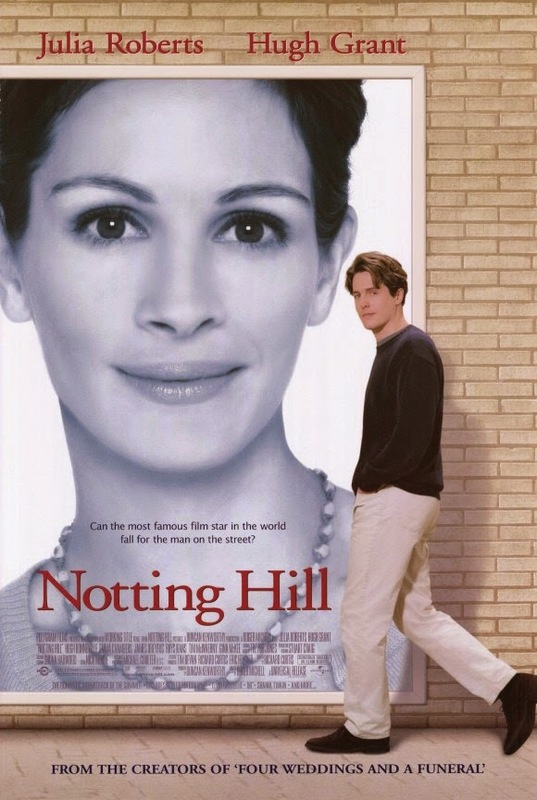 It's hard to imagine an ensemble movie like Notting Hill working as well, today. Where do you go that people are actually sitting around doing nothing but chatting with each other at restaurants? Nowhere! Every group has at least one person staring at some sort of electronic device. I've seen entire tables at which everyone is completely silent because they're all thumbing their iPhones. It's lovely to recall that not all that long ago people gave each other their full attention. When people ask me what my all-time favorite movie is, I always tell them The Dish. Most of the people I've mentioned it to, over the years, have been baffled because it's an Australian film. 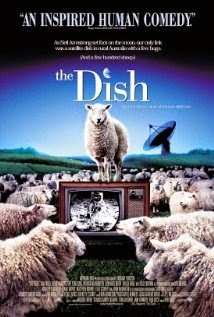 I'm not even sure how we found it in the first place, but The Dish is a comedy based on the true story of the Australian satellite dish that received and broadcast the signal sent during the Apollo 11 moonwalk so that people all over the world could watch man walking on the moon for the first time. The Parkes satellite dish was in the middle of a sheep paddock, hence the sheep watching the moonwalk on the cover at left. Besides lovely comic timing and a pretty terrific cast (Sam Neill and Patrick Warburton), The Dish has a fantastic music soundtrack. So does Notting Hill, for that matter, but I have a particular fondness for Sixties music. I wanted to watch The Princess Bride, next, since we were watching some of our favorite comedies, but we didn't manage to locate our copy so next up was Romancing the Stone. 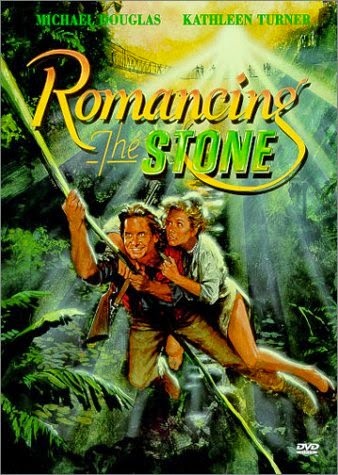 Ohmygosh, I had no idea Romancing the Stone is 30 years old! But, there are landlines and a pay phone in the movie, and Joan Wilder types her romances on a typewriter, not a computer. That tells you something, doesn't it? And, I guess the hair is a dead giveaway. Anyway, I was a little distracted and didn't pay as much attention to Romancing the Stone as the other movies we watched but, again, it's a movie that's held up beautifully. In all three cases, I found myself spitting out lines before the actors said them or reciting along with them. Grogan: So, you can die two ways, angel: quick like the tongue of a snake, or slower than the molasses in January. Joan Wilder: [voiceover] But it was October. Grogan: I'll kill you, goddammit, if it's the Fourth of July! Bwah-ha! How can you not love that kind of writing? Fun. Now, I need to dig a little harder to find The Princess Bride. Hope you all had a fabulous week! Rain is moving in, again, as I type and I can hear the neighbor's outdoor cat howling. I hope they bring him in before the sky opens up. Happy Monday! The whole round world will funnel into nothingness, and you will see the truth in his eyes: that life, that living, is more than what's come before. That all you have is this moment, this sun and this sand, these seagulls overhead and white clouds and blue sky, and don't look away or he'll disappear. The world is here only as long as you look for it, only as long as you keep your eyes open. Keep your eyes on him and he'll never leave you, will stay if you can just keep from blinking. And your eyes will ache, they'll burn from holding them open for so long, and when you blink, like that, he'll be gone. ~p. 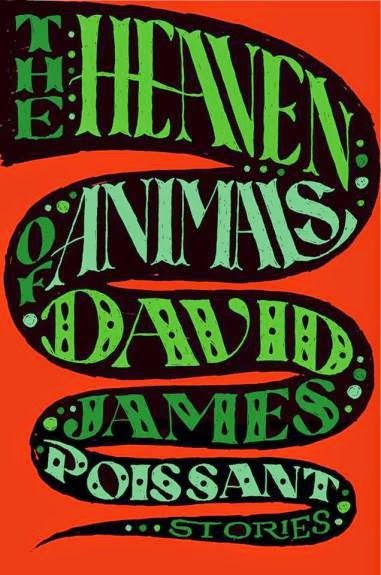 156, "How to Help Your Husband Die"
First things first: The Heaven of Animals by David James Poissant is one of the best short story collections I've read in a long time - one worth buying to read over and over, again - and I'm a big short story fan so I don't say that lightly. I wanted to mention how excellent it is up front, just in case my review is too boring to get through. The Heaven of Animals begins with a slightly quirky story about fathers and sons called "Lizard Man", in which two men go to the home of Cam's deceased father. Cam refused to see his father for years and he just wants to check out his dad's house, maybe take something as a memento. But, the two men discover a sickly alligator caged on the property and Cam decides he'd rather help the animal than steal the TV. His friend wraps his snout with electrical tape and as they take the alligator somewhere to let him loose, a storm breaks out. There's so much depth to "Lizard Man". It's not just about compassion for an animal; it's about fathers and sons, how they hurt each other, why it's important to keep a connection. Cam's friend is putting his life back together after time in prison for throwing his gay son through a window, while Cam had a rocky relationship with his now-deceased father. Through their conversation about the relationships and the storm that terrifies Cam's young son, left home alone, Cam's buddy comes to a realization about himself and his own estranged son. It's deeply touching. It wasn't till I was writing this review that I realized the storm may well be a metaphor for stormy relationships and the damage they can do. The rest of the collection is equally touching, shattering, meaningful and incredibly resonant. There's an emotional truth to David Poissant's stories that is so stunning it makes you wonder how on earth such a young-looking author can possibly understand emotion so well. There's a lot of pain in his stories but there's also hope and beauty (although some of them certainly leave you feeling gut-punched). Highly, highly recommended - Stellar writing; the characters are so true to life that you can't help but care about them. I received a copy of The Heaven of Animals from Simon & Schuster in return for an honest review. I'm so grateful I got the opportunity to review this book. If you're a short story fan, this is one for the good shelves. Someday I'll catch up on reading and reviews and then my life will be complete, right? RIGHT? Okay, I know better but I can dream. In the meantime . . . some mini reviews. 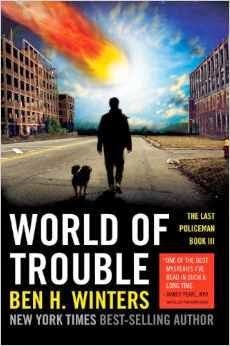 You've already seen the kit I've prepared for the upcoming fictional apocalypse in the Last Policeman series (and maybe my review of The Last Policeman). On to the second installment. As Countdown City opens, a mere 77 days remain before an asteroid will collide with Earth. Hank Palace no longer has a paying job as a detective but his former babysitter begs him to locate her husband, who has gone missing -- or "bucket list" as they say in the pre-apocalyptic lingo. Hank has a lingering affection for his old babysitter so he agrees, in spite of the fact that it's no longer possible to do things that were once common like buy gas, use a phone, find coffee. Hank is tenacious and smart, though, and the missing man is so beloved that he's certain there must be more to the story. Ben Winters is such a sharp writer. I squeeze up and down along the edges of my arm and feel nothing and meanwhile my breath is ragged and uneven. At a certain point I will cross a threshold where it won't matter either way; "loss of limb and/or death," that double-conjunction pivot point will resolve decisively on "and." Seriously, how can you not adore his writing? I love the way he can toss out a line of dialogue like, "Love is a bourgeois construct," and in those few words inform you about a character with surprising depth. I love Hank and his wonderful, upbeat attitude. I love the fact that Winters' world building is believable -- the human choices, the way the infrastructure is crumbling. Recommended and, so far, I think the Last Policeman series is worth owning for the sake of revisiting that snappy dialogue. I cannot wait to read the last book. 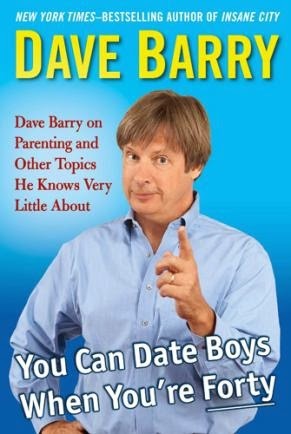 Dave Barry's latest release, You Can Date Boys When You're Forty is, unfortunately, pretty disappointing, and I don't say that lightly. I've been a fan of Barry since I was a kid. My father has been gone for almost 24 years but I'll always think of Dave Barry as one of the authors we bonded over, reading passages aloud to each other, laughing, trading his books and giving them as gifts. You Can Date Boys When You're Forty made me laugh out loud a couple times but it also occasionally made me cringe (the section on grammar . . . just, no . . . horrifying, not funny). Here's what my homeowner tool collection consists of: duct tape, a smallish hammer and 283,000 tiny random pieces of hardware for hanging pictures. Hanging pictures is my only real manual skill. If we have a global nuclear war and civilization is wiped out and I happen to be one of the small band of surviving humans, I will not be a big help. First Survivor: I'll forage for edible roots. Second Survivor: I'll look for water. Third Survivor: I'll build a shelter from fallen trees. Me: And I'll hang the pictures! First Survivor: We'll eat him first. My favorite essay is "Seeking WiFi in the Holy Land," about his family's journey to Israel. His current wife and daughter (if I recall right, he's on his second marriage) are Jewish and their vacation sounded pretty adventurous. The essay is both funny and touching. When Barry left the Yad Vashem museum with tears in his eyes I choked up a bit, myself. Iffy on recommendation - I liked some of the essays but a few of them were just flat awful so I gave You Can Date Boys When You're Forty an average rating of 3/5. I'd recommend checking it out from the library if you're a fan. Is That My Cat? 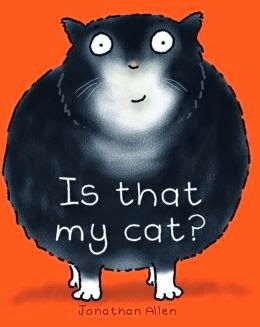 by Jonathan Allen is about a cat who has suddenly become lazy and fat. pick up with one hand? And so forth. The cat has gotten round and heavy, is eating more, sleeping a lot, not so great at hunting as she used to be, can't climb a tree very well, etc. Then the narrator (a little boy) hears her purring in the closet and . . .
Is That My Cat? is a book that I feel a little squirmy about. My husband says it's silly to feel that way, since the book is directed at very small children. But, basically, you have an unspayed kitty running around outdoors and getting pregnant. Most people don't keep the kittens their cats give birth to and a lot of animals are put to death due to the sheer quantity of unwanted domesticated animals, so I feel strongly about spaying/neutering -- knowing myself, I'd probably preach about that while reading the book, even to a really small child. I received a copy of Is That My Cat? from Sterling Children's Books, unsolicited. Many thanks! I adore children's books and am tempted to cut out the kittens and laminate them to make bookmarks (don't worry, I won't . . . but they're totally adorable and just the right size). Happy Monday! We had an interesting weekend - so stormy (as in deluge with a lot of crackBOOM noises) from late Saturday night till late Sunday that we opted to stay safe at home doing exciting things like laundry and sleeping, although fortunately we did manage to sneak in a local baseball game before the inclement weather arrived. I am now officially prepared for a fictional apocalypse! Note that with one bottle of water I'm not likely to last long but I'm sure the books would keep me alive for a while and, although this is an entirely different fictional probability, I do have a towel in case of the potential for hitchhiking on passing spaceships. 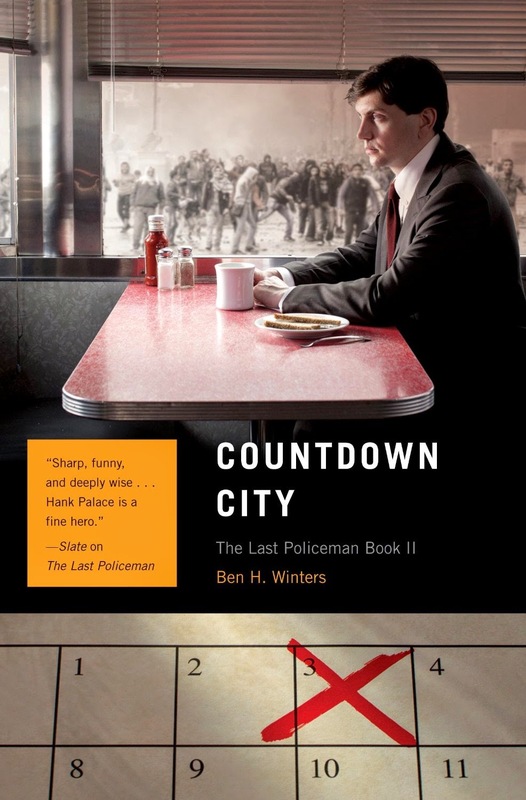 I've read both of the Last Policeman books, already, and they're pretty exciting, by the way -- hopefully, I'll get Countdown City reviewed, this week. Thanks to Eric at Quirk Books for the laugh. Femininity by Susan Brownmiller - I just read one section, occasionally, then set this book aside for a day or two. Although parts of it are outdated, I think it's still worth reading if you're a feminist or interested in how men view women and how we see ourselves (and how this has changed throughout history and across continents). The Girl Who Came Home by Hazel Gaynor - It took me a while to warm up to the author's voice but now I'm enjoying it. The White Tiger by Aravind Adiga - A Booker Prize winner that has sat on my shelf for years. I accidentally started this book on Saturday. By "accidentally" I mean that I had no plans to read it; I just happened to be cleaning in the guest room (where it was shelved) and when I looked at it I thought about the fact that during our trip to Costa Rica I saw a man reading The White Tiger at poolside and asked him what he thought. He said it was excellent. It took me a while to acquire the book and there it has sat, ever since. I pulled the book down thinking I'd just "peek inside". 79 pages later, I stopped to go to the baseball game. I might never have come up for air, otherwise. We've recently unpacked some boxes of DVDs so we're digging through the DVDs whenever we feel like watching a movie. 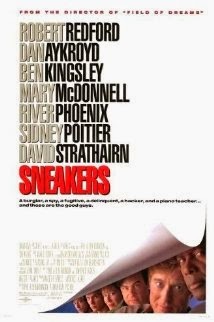 Sneakers - A delightful caper with an all-star cast: Robert Redford, Sidney Poitier, the late River Phoenix, Dan Ackroyd, Ben Kingsley, David Strathairn, Mary McDonnell. Seriously, this film (released in 1992) could not have a better cast. It has held up beautifully. In spite of the fact that the idea of an unbreakable code is pretty much laughable, now, and a code-breaking master machine kind of silly, the story is still a good one and much less cheesy and overblown than more recent caper movies, in my humble opinion. In other words, I still love it. 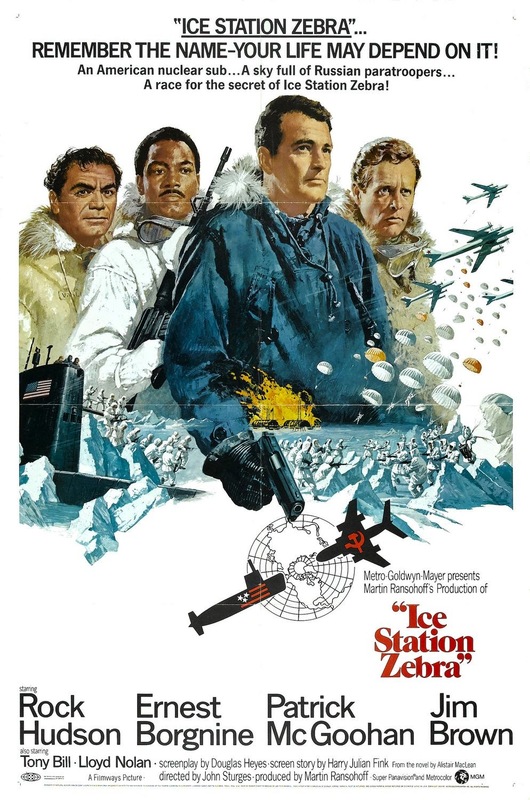 Ice Station Zebra is the 1968 movie based on the book Ice Station Zebra by Alistair MacLean - which I read and reviewed, last year. We were a little stunned when we started up the movie and got a still shot of a submarine with the word "Overture". I turned to my husband and said, "Are we being seated in the theater?" He shrugged. I assume that was the purpose of the overture, which was a lengthy one. Ice Station Zebra is another movie with a pretty terrific cast: Patrick McGoohan, Ernest Borgnine and Rock Hudson are the stars. I'm not familiar with Jim Brown but it appears he's an early "sports hero turned actor". I'm not so impressed with him but I love the fact that the movie is understated. Even when exciting things are happening, there's no shouting of goofy commands that you know you wouldn't hear in real life. Instead, everyone seems quite professional. It seems a lot closer to reality than anything we'd see today, but that's just a guess. One thing that really stands out is the fact that all the main characters smoke . . . on a submarine. That had to get nasty. We got to the point at which the submarine (after being sabotaged and nearly sinking) successfully punched through the ice and a team was readying to hike 3 miles across the ice to get to the damaged station. And, then the word "Intermission" popped up. It's a long movie and it was getting late, so we opted to stop the show and watch the rest, later. So far, I'm really enjoying it, though, and so is the top of my husband's head (he played on his tablet the entire time). That's pretty much my week in a nutshell. How was yours?